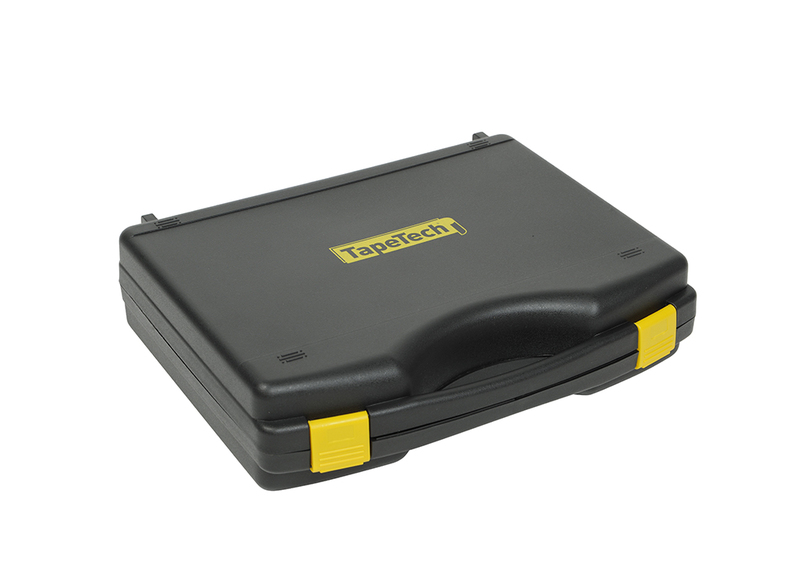 TapeTech offers the first and only Tool Maintenance Kit for Automatic Taping and Finishing Tools. 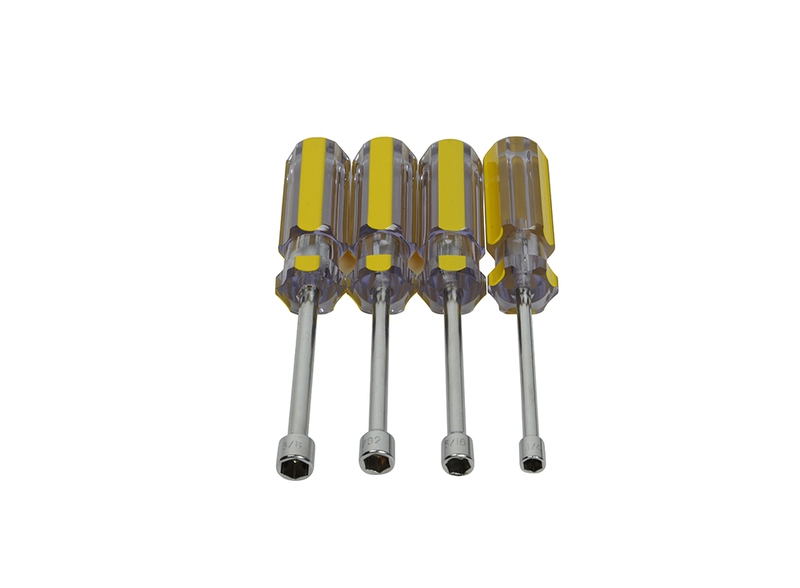 The 12-piece Kit contains the most common size-specific tools required to perform routine maintenance or advanced repair. 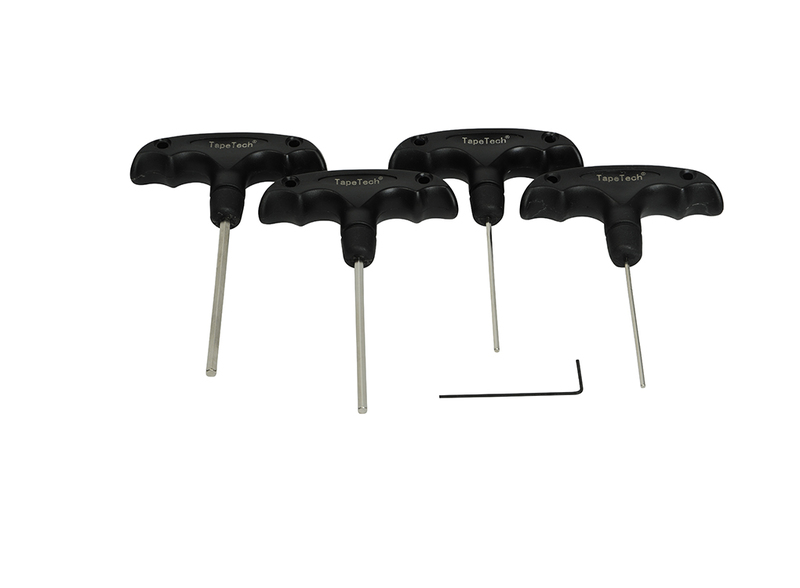 The Kit includes Nut Drivers, T-Handle Allen Keys and custom feeler gauges for calibrating the blades on finishing boxes and corner finishers. 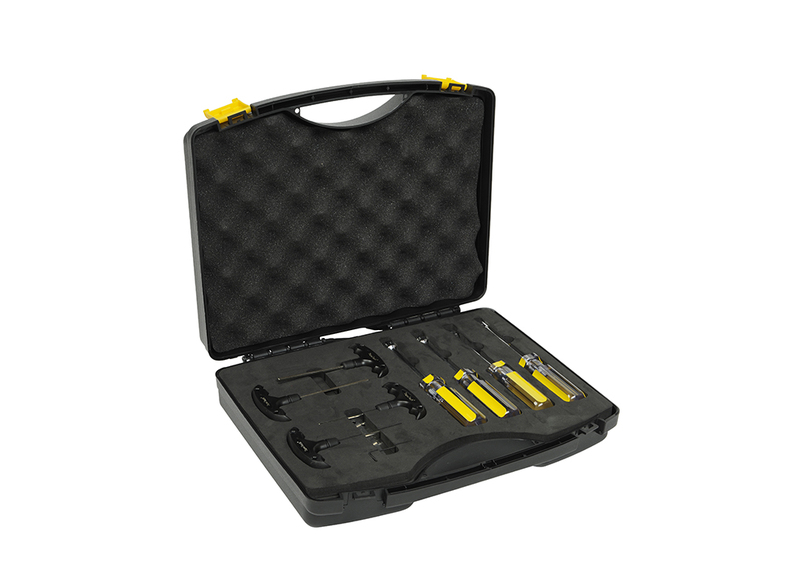 The Kit includes a custom, foam-lined case to keep the tools organized and protected during storage or transport. Stop looking high and low for the right sized tools when you need them. Whether you own or rent Automatic Taping & Finishing Tools, the TapeTech Tool Maintenance Kit is a must-have for all professional drywall finishers.